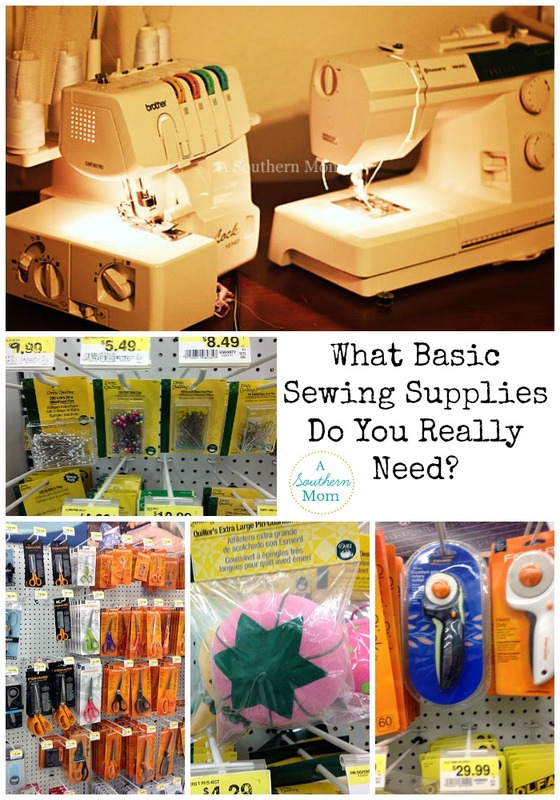 You are here: Home / Basic Sewing / Basic Sewing Supplies-What Do You Really Need? Basic Sewing Supplies- What Do I Need to Start Sewing? 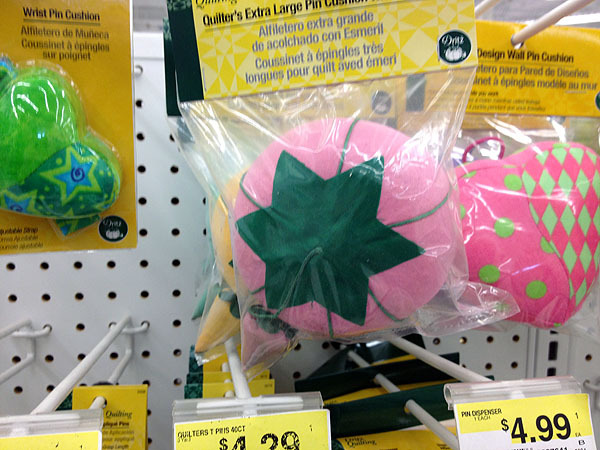 Have you ever been in the sewing section of a crafting store and felt your eyes glaze over? 50 different pairs of scissors, all claiming to do something just a bit different. No less than 10 varieties of pins and pin cushions. 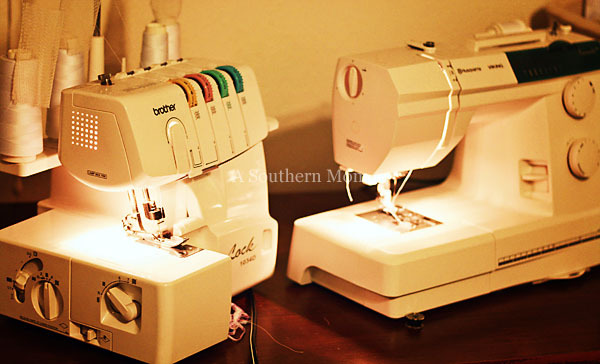 Sewing machines that cost $60 and sewing machines that cost $6000! What do you actually need? What basic sewing supplies are essential and which ones are a waste of money (at least for a beginner)? I know you are hoping that I'll just tell you to buy the cheapest items in the store and call it a day. Unfortunately, even though we're looking for basic sewing supplies, quality can vary wildly and it's worth investing in good materials from the start. I speak from experience here. The wrong sewing supplies can make the difference between success and failure. That said, no beginner needs a $6000 sewing machine. I'd argue they don't even need a $600 machine! What kind of sewing machine do you need? Can you get away with a machine under $100? Do you need to spend $500? I'm not going to lie, you'll have a much easier time sewing on a quality machine. You'll have a much more stable machine if you buy one that is metal and not plastic. You'll likely have a longer lasting and higher quality machine if you spend over $100. $300 seems to be the sweet spot. Below, you risk the chance of growing out of your machine quickly. Above isn't really necessary unless you intend to become a professional seamstress or you are purchasing a hybrid machine (sewing AND embroidery for example). That said, check the reviews and make sure you go with a well known brand and no matter what your price range is, you should find something that will work for your needs. So many choices! 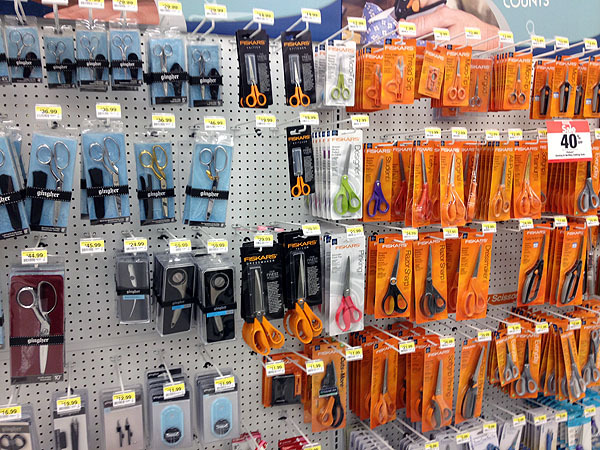 Here's the thing...you need 3 pairs of scissors, but only one needs to be high quality. A high quality pair to cut fabric and ONLY FABRIC (that baby doesn't touch anything but fabric. I'm serious!) You don't have to pay a ton for your scissors, they just need to be sharp and fit your hand nicely. Don't go super cheap on pins. I have super cheap pins. They get lost in the fabric because they are SO tiny! I suggest investing in some sturdy pins that have a colored ball on the end. It doesn't have to be super fancy, but it should be able to steam fabric. I suggest you also purchase an ironing board, but you can just lay out a towel if you have to. You can likely purchase a hand sewing kit to take care of the pin cushion, seam ripper, ruler or seam gauge, tape measure and hand sewing needles. These don't have to be top notch materials and I find that a small hand sewing kit tends to have all of these supplies and more for less than what they'd cost individually. The other items can be easily found at your local crafting store. It took a long time for me to feel comfortable cutting fabric with the rotary cutter on my self healing mat. That said, I rarely use my scissors to cut fabric anymore. I even use my rotary cutter to cut curved edges! Be sure to get one with a guard and keep it hidden when you aren't using it. They are SHARP and I have sliced part of my thumb off with one before! These are my basic sewing supplies. What do you consider to be basic sewing supplies everyone should have? Do you have anything to add to my list? I like this article! It’ll be good when I finally get around to learning to sew….one day, one day….. lol! You can do it Katie! I know you have a machine! Wow! This information is so gravitating i can’t wait to read more! This is my 1st time on the site & this was the 1st thing i read & i’m like Wow! I thank God for you KP! On peut rÃ©duire son impact environnemental et faire des Ã©conomies que l’on soit riche ou pauvre, le potentiel Ã©tant clairement moins important pour ces derniers. Tout cela en Ã©tant au service de la qualitÃ© de vie et de l’emploi. Every time I did a serial (Walter and Lydia, Janie, etc. ), it kind of took the joy of it from me. It became something I felt like I was “supposed” to do. I know that lots of others love doing a serial. So, long and short? Trust your gut. I have to agree with almost everything you mentioned. Except the canned air. Never used it, used a hair dryer if I needed to “blow” anything. Tamika, I have NEVER thought of that. The hairdryer. Mind.Blown. I will be doing that from now on! Definitely a 6×24 ruler with an edge gripper for those of us who are shaky at times, and a thread storage tree and bobbin case with a lid – these are especially helpful to keep things from tangling. And if you are someone who has more than one project going at a time, 2 gallon zip-lock storage bags are helpful for keeping all the pieces together neatly. Great tips Melissa! I admit, I have NO storage solution for thread. They are all just thrown into a rubbermaid box…and YES they get tangled! Do you have a link to the one you have? I’d love to see! One item to add to your list of must haves is a good steam iron. And a note on pin selection. I have used all kinds, from silk pins ( that can not be picked up with a magnet) to safety pins and T-pins. I now only buy the long quilters pins with the glass ball at the end. They are finer and create smaller holes in fabric and if you get the colored glass ball they are easier to find and the glass does not melt when you might happen to iron or press over them. I have been sewing for about 70 years and have done my share of un-sewing, but I have found you learn a lot form your sewing errors. Keep up the good work and I am glad to hear that more of you gals and perhaps guys are taking up sewing! I bought a beginners sewing kit at Micheals for $39.99 that had scissors, two kinds of pins, a measuring tape, thimbles and various little things one would need to start sewing. Then at Walmart for $24.99 a beginners quilting kit with rotary cutter, ruler and may. That combined with my inherited sewing machine I self taught myself how to basic see from the assistance of you tube and Pinterest for under $100. Saved christmas this year with homemade gifts!! Another one of my favorite tools is the seam ripper with the magnifier & light. Oooh, I need to get one of those! Chalk is good to have when you want to trace out patterns instead of pinning so you can avoid holes. Wax as well to mark the wrong sides. A magnet is good too, to pick up pins off the floor to avoid injury. A small paint brush to clean dust from the bobbin and plates. Binding paper clips for sewing leather. Tracing paper for patterns, a case to keep everything together and different needles for different fabric. It’s also good to use a sewing machine cover to protect your machine and so it lasts longer. I think that’s it lol. Oh and a bobbin case can’t tell you how many times my bobbins have rolled around the house. Thanks for all the tips! Sooo true on the bobbin case! Otherwise they roll everywhere! I’m super happy!! I made four pillow cases. And now I’m going to try to make three giant floor pillows.. But I am having a hard time cutting my fabric it’s just so long I can’t make a straight line:/ any advice?? To be honest, I don’t cut straight lines anymore. I nip it with the scissors and tear! That’s probably not the smartest way to do it, but it works for me! I Do this too works great because the tear follows the grain of the fabric (in either direction) I just don’t like the little strings that fray off the edges because of it, any suggestions ?? Well, I have a serger so I just serge the frayed edges! Here I am searching Pinterest for the scoop on getting a good game plan for buying a sewing machine and setting up a little sewing corner in my studio & I happen upon this excellent pin! I literally pinned it not even noticing who created it because I was so pleased with the VERY useful info. Then I scroll all the way to the bottom & look who’s face I see lol! So, just wanna give you a technological high five and say thanks for the excellent post. I know I want a good quality machine and a serger (possibly Baby Lock brand?) but there’s just so many options out there. Leah & I had a private sewing lesson with a wonderful instructor yesterday and we both got twitterpainted by the sewing love bug. She made an adorable pair of pj pants & I’m not trying to toot my own horn but I jammed out a rather ADORABLE throw pillow…. (toot toot) Now I wanna sew more pillows, drapes, bench cushions….dear Lord I’ve awakened a monster! I’m just so motivated to make the things I would otherwise have to pay someone 3-4 times as much to make for me. Any extra lil tid bits of info would be greatly appreciated. Theresa! I’m so sorry I did not see your comment here. I did respond on Facebook at least! Thank you so much for commenting! Thank you so much for this Heather. I have been teaching myself how to sew for quite some time. It is very true about the quality machine you use. I got very frustrated as I had a brand new sewing machine which was low cost. I had a rough time with it because the thread always came out and snags etc. I am now using my mother inlaws singer old fashion mate series. I believe the base is medal. What a difference!!! Again thank you so much for this Board. It is my passion to craft and sew but it can be challenging but in the long run very practical for the family as I have 5 daughters who I can definitely sew for. Headbands is a project I am working on Anyways Have a wonderful week. I just found this on Pinterest! I was looking for somewhere to start with this sewing! My grandmother past away and I got all her sewing stuff. I want to learn and I’m at a loss. I have great memories of grandmother sewing and how much she enjoyed it! Thank you for this great article! You are very welcome! I hope you enjoy learning! My everyday craft is greeting cards and simple home décor, and I am in love. 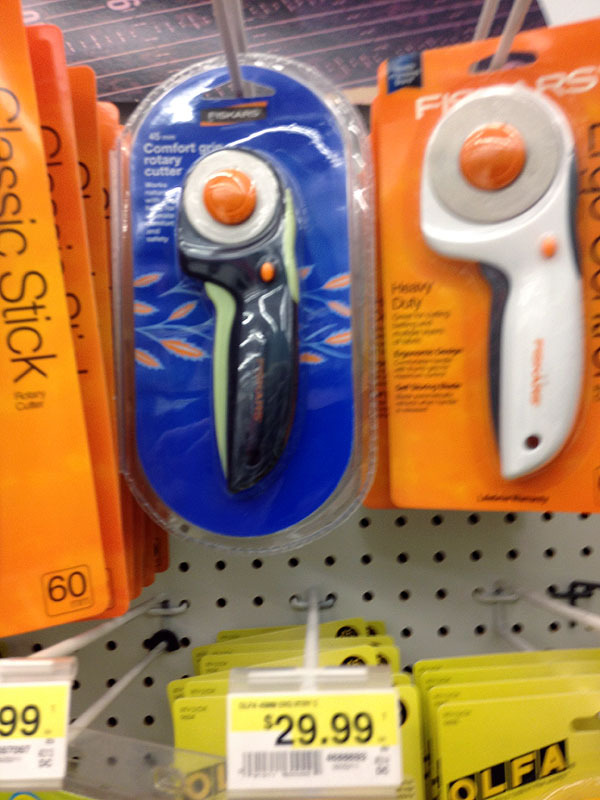 I am almost sure that my husband has gotten me a…. SEWING MACHINE for CHRISTMAS!!! I am enjoying your blog and thank you for taking the time to post supply options and tips to get me started on this craft…. Toe separators work fantastic for bobbins. You know, the little foam deals you use when you (or someone else) paints your toe nails? 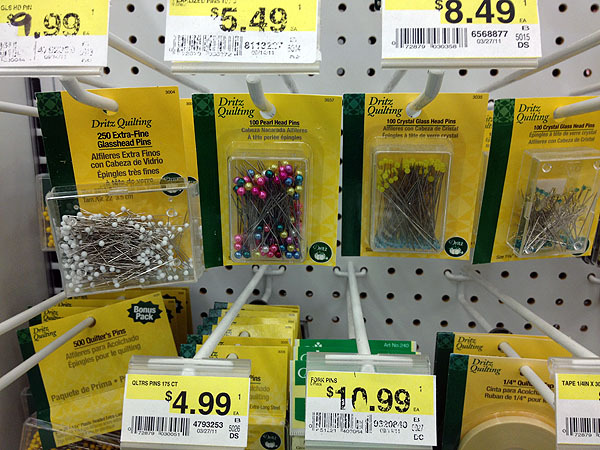 You can get a pack at the dollar store & have enough to store 8 bobbins…for $1! Easy to Sew Owl Buddies - Great Beginner Project and Stash Buster!